Three children were hurt at a Sussex primary school yesterday when a pupil shot them with a ‘BB’ gun. 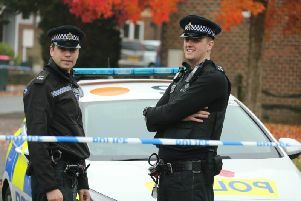 The incident - in which the pupils were hit with plastic pellets - happened at Storrington Primary School. Headteacher Marion Smith said the school was treating the incident ‘incredibly seriously’ and that letters about what happened had gone out to all parents. She said all ‘relevant authorities’ had been informed about the incident. And, she said, she was now discussing with school leadership teams what action could be taken. Meanwhile, many parents have contacted this newspaper to tell of their shock at the incident. One worried father of two children at the school said: “It’s absolutely outrageous. You wouldn’t believe that a child could think to take a BB gun into school. In a statement issued today school head Marion Smith said: “We had an incident in school on Thursday when a child discharged a BB gun and the plastic pellets hit three children. “Thankfully none of the children were badly hurt however we are treating this as a very serious incident and have followed the matter up with the relevant authorities. A spokesman for West Sussex County Council said: “We are aware of an incident at Storrington Primary School involving a child discharging a BB gun. As the safety of children is of paramount importance, this is being treated as a very serious incident.